A couple of weeks ago, the Wall Street Journal revealed Elon Musk's latest venture, Neuralink, and its plan for developing brain-machine interface technology. Now, Musk has invited Tim Urban of Wait But Why to write up an in-depth report of the company and what it's working on. Neuralink is hardly the only company working on things that will plug into our brains, and earlier this week we got a peek at what Facebook is working on in the area. One new thing we know from this report, however, is that Musk and his team seem pretty close to making it happen -- the SpaceX and Tesla founder figures they can have something on the market to treat severe brain injuries "in about four years." We are aiming to bring something to market that helps with certain severe brain injuries (stroke, cancer lesion, congenital) in about four years. For something usable by people without a disability, Musk believes the timeline is more like eight to ten years. But, if the team can pull off the implantable, biocompatible wireless hardware it's dreaming of, then humans could communicate with computers and even each other with only thought. Elon Musk has repeatedly spoken about the potential danger presented by artificial intelligence, and increasing the "bandwidth" of communication is, he says, a way for humans to be symbiotic with AI instead of being replaced by it. 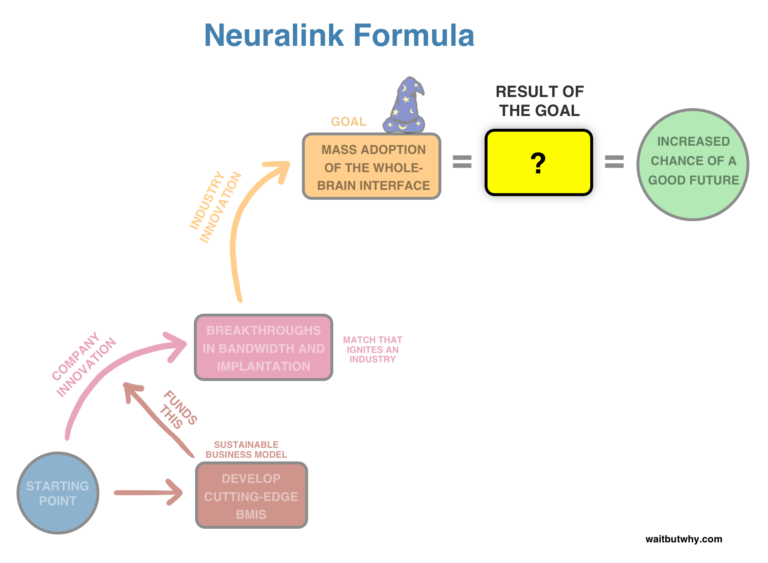 As such, much of the write-up is devoted to a discussion of how the brain has developed to enable society as we currently experience, and what the "Wizard Era" of direct brain communication could be if Neuralink succeeds. So far, Musk's strategy has worked effectively to build his rocket and electricity companies, we're at least a few years away from finding out if the streak will continue.